Replacing your shower curtain is a quick, fairly inexpensive way to spruce up your bathroom. You may not realize just how many different types there are until you begin looking but there are quite a few types to choose from. Below is a list of a few different ones, along with the pros and cons of each. The typical shower curtain many people have in their homes is made of vinyl. Vinyl is good because it is very easy to clean as well as inexpensive. There are usually tons of variations to choose from at your local department store so you are sure to find one that shows your style. Clean up for the vinyl shower curtain is easy because all you need to do is toss it in the washing machine, then air dry it. The cons to having one is that are not quite as expensive looking as other kinds of curtains which can sometimes make your bathroom look a bit outdated as a result. They don’t last as long as other types because they can easily rip throughout the wear of daily use. Another one you may want to take a look at is the cotton blend. The pros of these are they tend to make your bathroom feel cozy. They also come in a wide array of colors and patterns. They also tend to last for a good many years. The cons to this blend are that they need frequent laundering to keep from having a buildup of mold. Also they can be a bit more costly. Silk or satin may cost quite a bit more but these types of fabrics can go a long way toward making your bathroom look fancy. The only con to this type of fabric besides the price is that it is not water resistant and will require dry cleaning. Hemp fabric is another option but typically this material doesn’t come in as many color choices as do all the others. It is however a very environmentally friendly choice. 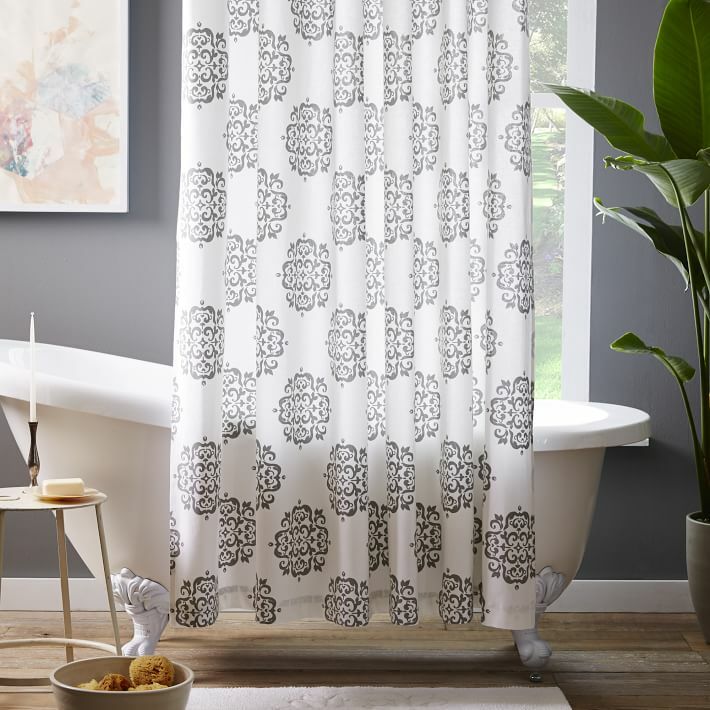 Now that you have read of a few different choices you have concerning shower curtains you may be more able to make a wise decision on which one works best for you and your style.